How to Restore from ThinkPad One Key Recovery? Thinkpad users may encounter some errors that make computers crashes. 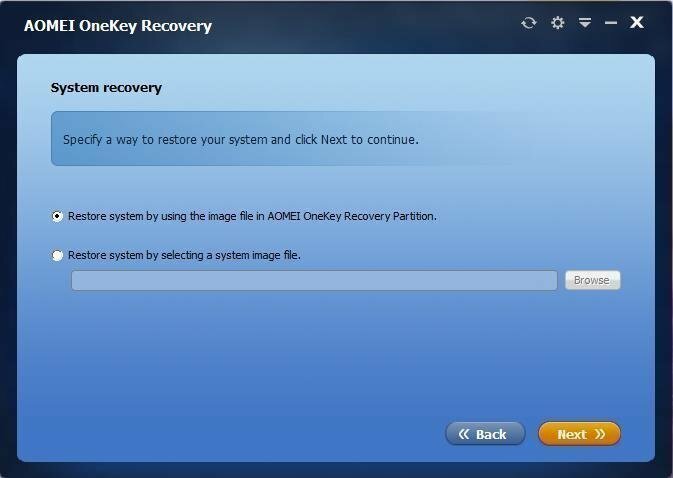 If you want to protect your system, you can restore from ThinkPad one key recovery partition created by AOMEI OneKey Recovery. The rising fame of Lenovo brand makes its product widespread, and ThinkPad computer, of course, is used by a huge number of people. ThinkPad users may encounter some errors such as virus, or abnormally uninstalling system program etc and they will cause that computer can’t boot normally. Under this circumstance, system needs to be repaired. Some people will re-install system, and others will seek a way to restore from ThinkPad one key recovery. Comparing with two ways mentioned above, both of them are solutions, but the later one will be better, because it will save much time and money for users. Certainly, the premise of restoring system is that users need to back up system firstly. Therefore, if you are afraid of that your computer breaks down, you can backup your ThinkPad system. Now, many computers have configured backup and restore program to protect your system, ThinkPad included of course. Once your computer breaks down, ThinkPad one key recovery will help you to restore system. First, when computer is turned off, you can press a button beside power key, and it is one key recovery button. After a while, you will see operating screen as the picture below. Second, due to the fact that you want to restore system, please choose “System Recovery”. After that, you can do step by step according to the prompts, and you can restore to normal system. Step 4. You can choose a location to restore system image. System image can be restored to original partition, and it can also be restored to other location. After choosing, please click on “Start Restore”. After finishing the four steps above, your computer will wake up slowly from “broken” curse. AOMEI OneKey Recovery is a tool that help you backup and restore system. 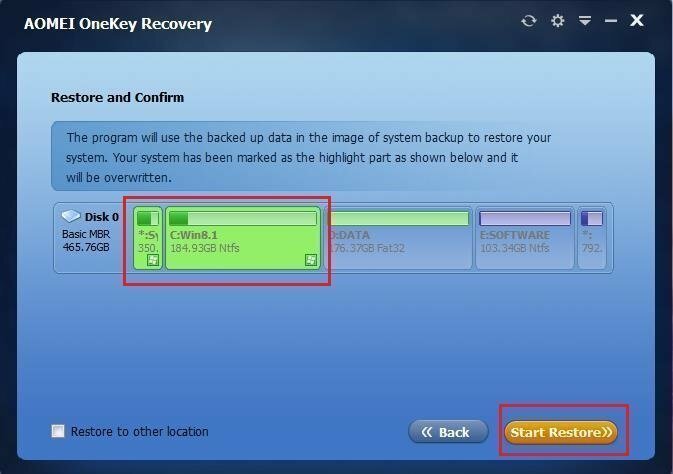 If you are a user of ThinkPad, you can consider to create a new ThinkPad one key recovery partition with AOMEI OneKey Recovery.